The third issue of JM Dematteis & Mike Cavallaro’s “The Life And Times of Savior 28” comes out this Wednesday! It was a pleasure to do a pin-up for them for this issue. Here are all four cover ideas I had for the Japanese themed cover. 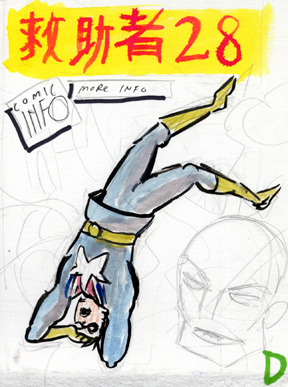 The first one is aimed at the teenie bopper sect of comix culture by focusing on Savior 28’s sidekick. 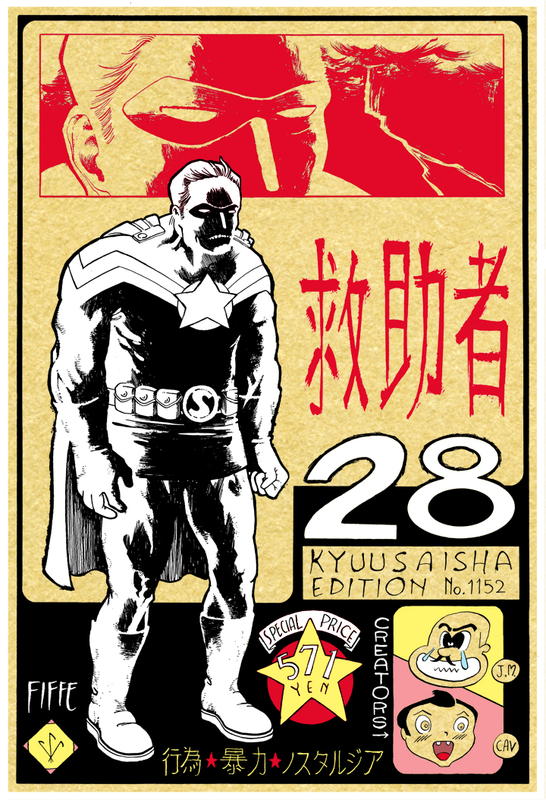 Cover B is a basic portrait/pose with a female version of 28’s sidekick. 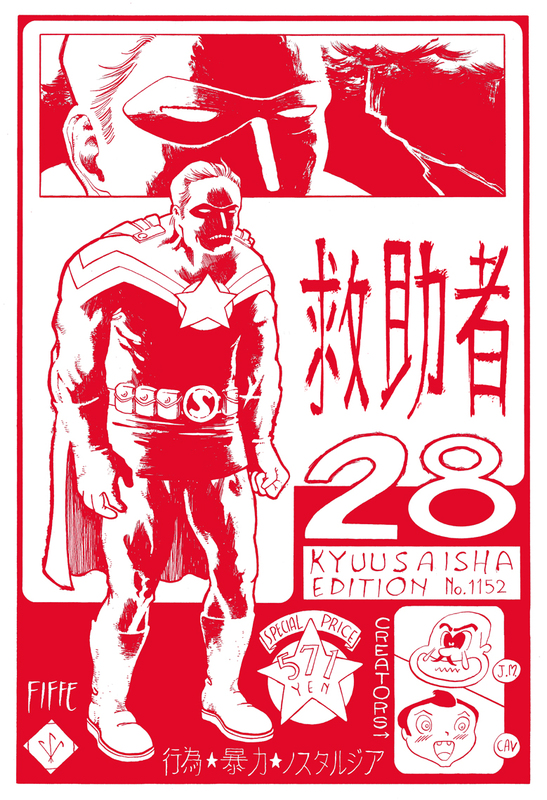 On cover C we have Savior 28 looking grim, beefy, and tired yet ready for battle. 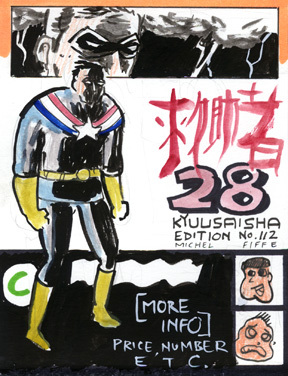 The last cover sketch is the laziest one in terms of rendering. The background would’ve been “surreal madness”. I’m glad for the one that was picked. This is probably as tight as I will ever pencil a piece. I was dying to ink this one by the end of it! I’m really impatient when it comes to this and I can’t understand how people just… pencil. I guess I’m an ink nerd. It’s my favorite part. The final version! A little vibrant, but I’m happy about it overall. Many, many thanks to the multi-talented Kat Roberts aka sateenduralux who helped me out with all of the technical elements of coloring this by computer. I am a caveman when it comes to this part, so as simple as it seems, this took me forever. I don’t know what came over me, but I was toying around with submitting this version as my final piece. At first I thought it looked minimal and cool, but then I couldn’t get “menu” out of my head. I still think it’s neat. Enough about me. 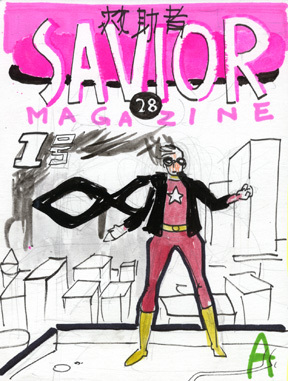 Go out and buy Savior 28 #3! It’s a great story with fantastic art by Act-i-vate’s own 66kmph… so no excuses! 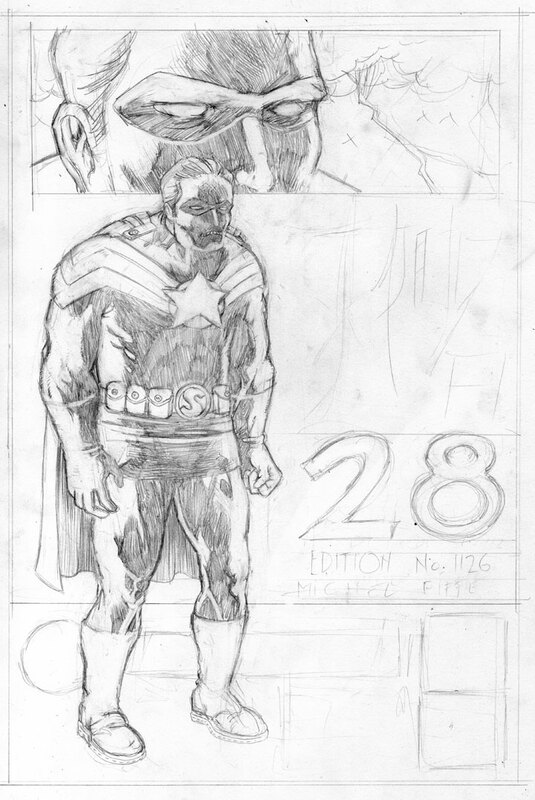 I actually like the pencils here… but the final product is so many tons of wackiness. Major props to you and to Kat. I like it a bunch. I really like the areas where you decided not to place a hard line. Great having you along for the ride, Mike. 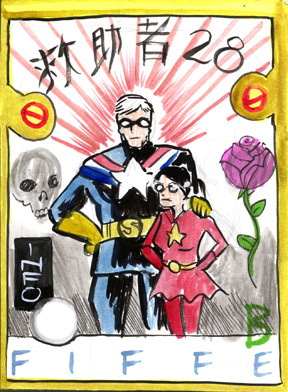 I thought all the sketches were great, and I hope someday we all get to see a whole S28 strip by you. Inking is my favourite part of comic-making, too, it’s just pure, distilled sexiness.